Everyone will have advice for you on this point. The truth is, having an agent will give you an edge. Publishing houses have a number of acquisition editors. These are the editors who review the manuscripts submitted and decide, usually through a committee, whether or not they are going to be published. These acquisition editors are flooded with submissions. To help eliminate some of the backlog of manuscripts on their desks, many publishing houses use literary agents as their first line of defense. If a manuscript isn’t good enough to attract a reputable agent, they won’t accept it for consideration. Sparks Literary Consultants Can Help. That’s where Sparks Literary Consultants Inc. can help. During our Manuscript Evaluation process, we determine whether or not we believe your manuscript is ready to be submitted to publishers. If it is, and if we think we can successfully land you a publishing deal, we will offer you a contract for representation. We only represent manuscripts we have read and evaluated. Maybe you’re the next J.K. Rowling, maybe you’re not. If we don’t read your work, we’ll never know. Getting published is often a game of chance, but your odds can be increased significantly by having a literary agent who will stand by you and your work. Agent Representation will get your manuscript in the door and on the desks of the right acquisitions editors at the right publishing houses. 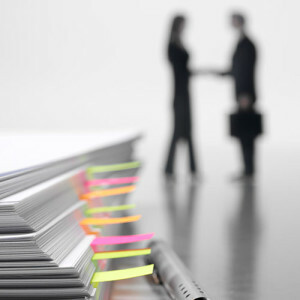 An agent will also represent your interest in all negotiations dealing with the publication of your work. Submit your manuscript for evaluation. To submit your manuscript for evaluation, please visit our Manuscript Evaluation page. If you’re still not sure if our services are right for you, throw us your best pitch on our Manuscript Pitch Page.